On 22 July 2017, day after day, it will be a year without our colleague … A confused feeling invades us. Commemorating a year of “disappearance”? But, apart from his absence of 365 days, we have no concrete evidence to conclude his death. It’s always this atrocious doubt. Desperate, one clings to the smallest, the most doubtful hope. 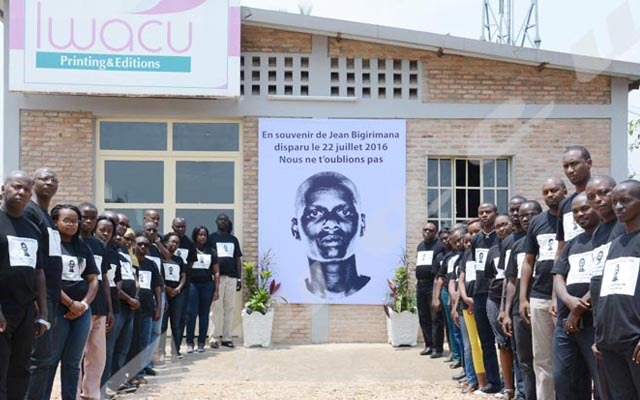 We have long since lost the childish candor, but we cannot say “Jean Bigirimana is dead.” Words do not go out. Fortunately, there were, however, reactions of compassion and support. It is also thanks to the information of the population of Bugarama zone, where our colleague was last seen, that we were able to search the valley and discover two dead bodies from the Maragarazi River. One was weighted with stone. The other victim was beheaded. Strongly damaged by the “stay” in water, the bodies were unrecognizable. We had hoped for a DNA test of the remains. At the time we submitted a request via the National Commission for Human Rights (CNIDH). However, the authorities decided to bury the two bodies. Probably, a DNA test would have eliminated the doubt. But Jean is not on holidays. At least, this is certain. Hard worker, father of a young family, he would not have allowed himself the luxury of 365 days on holidays. In our culture, we cry when we are not sure of the fate of our nearer unhappiness, it is said: “Agasema”. We would like to know the truth so that we finally let our tears flow, our anger too long contained, go out. No, Jean did not “disappear” in Bugarama zone. There were witnesses. But we have not sought the truth. 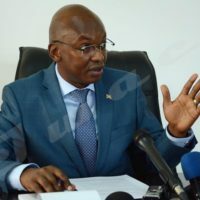 We have filed a complaint to the Burundian judiciary, so far without any follow-up. Iwacu even brought the case to the attention of the UN Working Group on Enforced or Involuntary Disappearances (GTDFI) in August 2016. We believe that those who “took Jean away,” I dare not write, “who killed Jean” count on time and forgetfulness. No, Jean “has not been on holidays for 365 days. Shame on you, “politicians” whose ethics and compassion have been on holidays for a long time. No, Jean is still here. Jean lives on. Through his two children and the love that always carries his wife to him. His children will be proud to bear his name. Jean lives on. Through our commitment to continue the duty that was his: to inform. Jean lives on. Through our refusal to shut up, to forget.